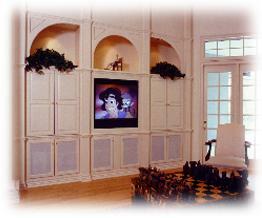 Home Theater Design has been installing audio and video systems since 1989. If you are considering a system but find yourself confused by all the "technobabble", then you have come to the right place. Our goal is to design and install systems that meet the highest performance criteria and are still easy to operate.